1. Knowing is not enough,We must apply.Willing is not enough,We must do. 2. Do not pray for an easy life,pray for the strength to endure a difficult one. 3. Those who are unaware they are walking in darkness will never seek the light. 4. If you trully love life,don't waste time because time is what life is made of. 5. A quick temper will make a fool of you soon enough. 6. Always be yourself,have faith in yourself,do not go out and look for a successful personality and duplicate it. 7. Knowledge will give you power,but character respect. 8. Mistake are always forgivable,if one has the courage to admit them. hearts mature and our love becomes as coals,deep burning and unquenchable. 11. Showing off is the fool's idea of glory. 12. As you think,so shall you become. 13. If you don't want to slip tomorrow,speak the truth today. 14. To know oneself is to study oneself in action with another. 16. The possession of anything begins in the mind. 17. 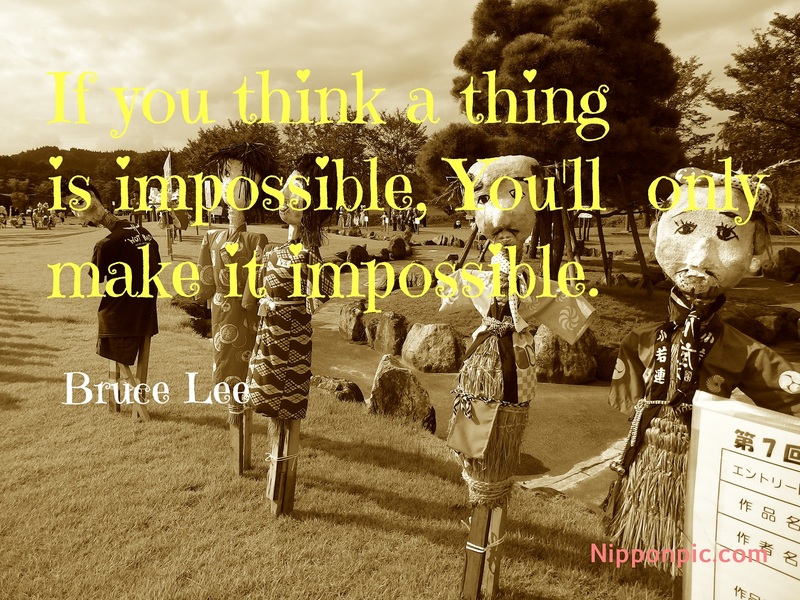 If you think a thing is impossible,you'll only make it impossible. to the object,and you shall find a way around or through it. 19. The most dangerous person is one who listens,thinks and observes. 20. Choose the positive,You have choice.You are master of you attitude. Choose the positive,the contructive.Optimism is faith that leads to success.